With the seemingly overnight sensation that is Pokemon Go, and virtually everyone more obsessed than usual with their smartphones, I thought it was an appropriate time to write about the knitting and yarn apps that I love and use fairly regularly (and yes, that is yarn wallpaper on my phone). Usually when I’m knitting, my phone is by my side, but not (always) because I need it to look at yarn on Instagram or at patterns on Ravelry. I no longer use a physical row counter, and instead use Countmeme, which you can download here from the Apple app store. I’ve tried other row counter apps, but I’ve found Countmeme to be the easiest to use for keeping track of pattern repeats or multiple projects. You can add a seemingly endless number of counters and easily reset and delete them. This brilliant app by designer Hannah Fettig, which can be purchased for iOS here for $4.99 — less than an extra skein of hand-dyed yarn! — is absolutely indispensable for fiber festivals (and the Rhinebeck Trunk Show). Pick a project, such as an average length sweater, a hat or a scarf, enter the size and the gauge, which you can find on the tag or band, and the app will give you an estimation of the required yardage. I’m still exploring this app (you can download it for iOS here), but it lets you import pattern PDFs from your computer, Ravelry library and Dropbox and has a sliding bar to track your progress, highlighters and ways to add notes, as well as other tools that can be purchased within the free (!) app. It also has built-in designs. I’ll have to play around with it more and see if it will replace my current method of taking a screenshot of the pattern on my phone. Another friend recently recommended Notability, which lets you make hand-drawn notes, and costs $7.99. This app is a must-download for Plucky obsessives, with reminders about upcoming updates and a full library of Sarah’s beautiful colorways, and even more creative names, as well as a list of patterns that use Plucky yarn. I myself am not a regular Plucky collector, but I very much enjoy looking at the fabulous color combinations and color/pattern pairings. 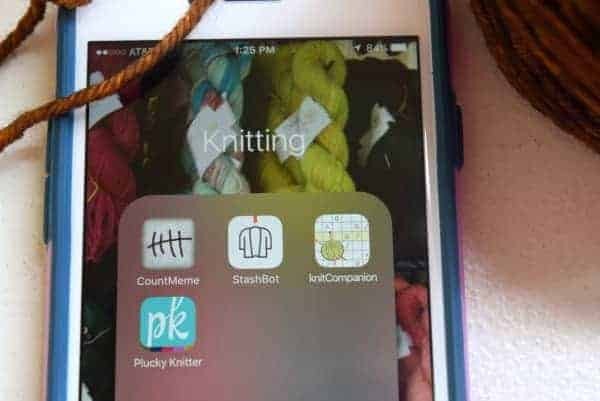 What are some of your favorite knitting or yarn apps? Is there an app (aside from a Ravelry one, of course) that you wish someone would create? This entry was posted in Uncategorized and tagged apps, iphone, knitting, patterns, shopping, yarn. JKnitHDLite is my go to app for downloading patterns. You have a highlighter bar to use and it is FREE. I use ezpdf reader for reading my patterns and I can mark them up with highlights and notes. And I like stash2go to look at my rav stuff from my phone. I really like Amy Herzog’s Knitter’s Toolbox iOS app for calculating the number of stitches to pick up for button bands and to determine button hole placements. I have knit companion but can’t use it. The instructions are non existent so totally useless for me. There are great tutorial on the Knit Companion website. You might want to check that out. Calculates increases or decreases both in circular and straight. So helpful. I was all excited but it looks like KnitCompanion is only for Apple devices. This list is great and all, but I wish the app makers would realize that Android is no longer the underdog. There are more Android users than iOS currently, and the numbers are only growing. I use Knitting Patterns Database. I can upload pdf’s from multiple sources including Ravelry. If the pattern is a webpage then it will turn it into a pdf for you. You can track all kinds of things and combined with the Acrobat app I can add notes to my patterns. I’ve used it for several years. 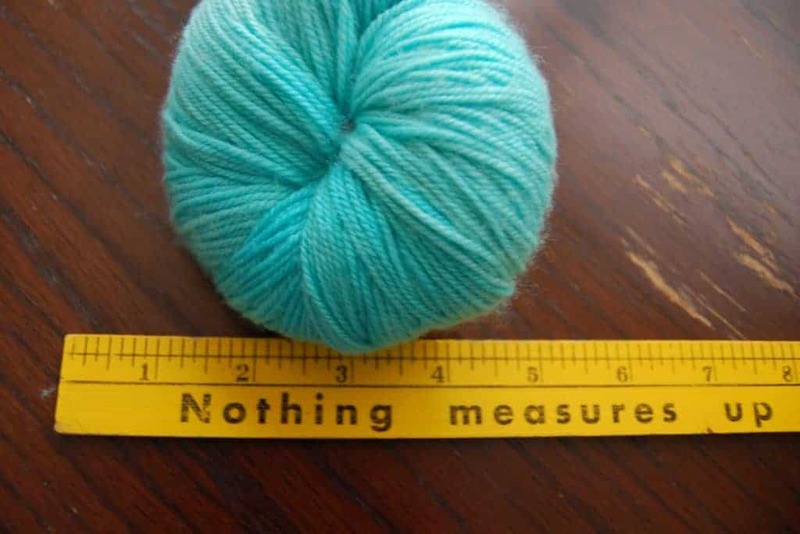 Is there an app that calculates what you can knit out of an amount of yarn? Inherited lots of skeins but don’t know how to figure out what I can make with, for example, the six skeins that are 50 gram, 97 metres at 22 stitches per 10 cm.